Check out the latest press about ‘Splendor da ciel’ here. After The Lion’s Ear and Johannes Ciconia: Complete Works, this is La Morra’s third album to have received this prestigious distinction. Find out more about ‘Splendor da ciel’ here. La Morra’s latest album has been published on Ramée, a label of the Outhere Group. Read more here and here. La Morra is now one of the Associate Partners of the project Sound Memories: The Musical Past in Late-Medieval and Early-Modern Europe (soundme.eu). SoundMe is a collaborative research project sponsored by HERA (heranet.info) under the call “Uses of the Past”. To learn more about SoundMe, click here. Read the review of ‘The Lion’s Ear’ on MusicWeb International. The CD was selected as Recording of the Month (June 2016). Previously, La Morra’s recording (Johannes Ciconia: Opera Omnia) was MusicWeb International’s Recording of the Month in 2012. Read the review of ‘The Lion’s Ear’ in Crescendo magazine. Read the review of ‘The Lion’s Ear’ in Gramophone magazine. Read the review of ‘The Lion’s Ear’ in the Italian magazine Classic Voice. 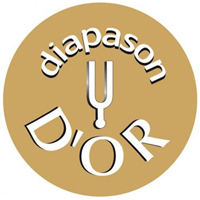 DIAPASON D’OR for ‘The Lion’s Ear’! We are excited and happy to announce that our album The Lion’s Ear has been awarded the prestigious French distinction Diapason d’Or! This is the second one in the collection: the first one was awarded to Johannes Ciconia: Opera Omnia. La Morra and Professor Anthony Cummings were also recipients of The Noah Greenberg Award (2014) from the American Musicological Society. Welcome to the new – redesigned, reorganised and generally modernised – website of La Morra. We hope it will grow over time, as we add more content and learn to use the available resources. Please check back every now again for the latest news and updates. Also, feel invited to connect with us on Facebook.